Wedding gifts can be so typical, and expected. Why not surprise the bride and groom you really care about with a green wedding gift? Give them something that will last, that will beautify their new home, and that will always make them smile and think of you: a plant. 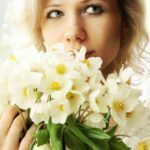 Why a Plant as a Wedding Present? 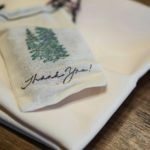 Of course, etiquette dictates that you get something from the registry for the bride and groom, but people love to get more thoughtful and personal gifts too. Wedding gift plants don’t have to be expensive, but can be a wonderfully personalized gift that will brighten a new home or garden for years to come. Wedding or love-themed rose. The best wedding present plants are thoughtful. What says love and marriage better than a ‘Wedding Bells’ or ‘Truly Loved’ rose? Roses can be planted outside to provide blooms for years that will remind the couple of their special day and with so many cultivars, you can easily find one that is worthy of a wedding gift. A plant couple. Another romantic idea to help the bride and groom mark their wedding day is a plant pairing, two plants growing together. A plant that lasts. Gift a long-living plant that symbolizes how the happy couple’s love will last and grow. For houseplants, jade, philodendron, peace lily, and bonsai trees make great choices and should last for many years. A tree for the yard. Another long-lasting choice for a green wedding gift is a tree that can be planted in the yard. A pear, apple, or cherry tree will provide fruit every year and grow with the marriage and family. In case neither the bride nor the groom has a green thumb, include care instructions with your gift plant. Give them the best chance of helping the plant to grow and thrive, so they can keep enjoying it from one anniversary to the next. Read more articles about Shopping Tips.